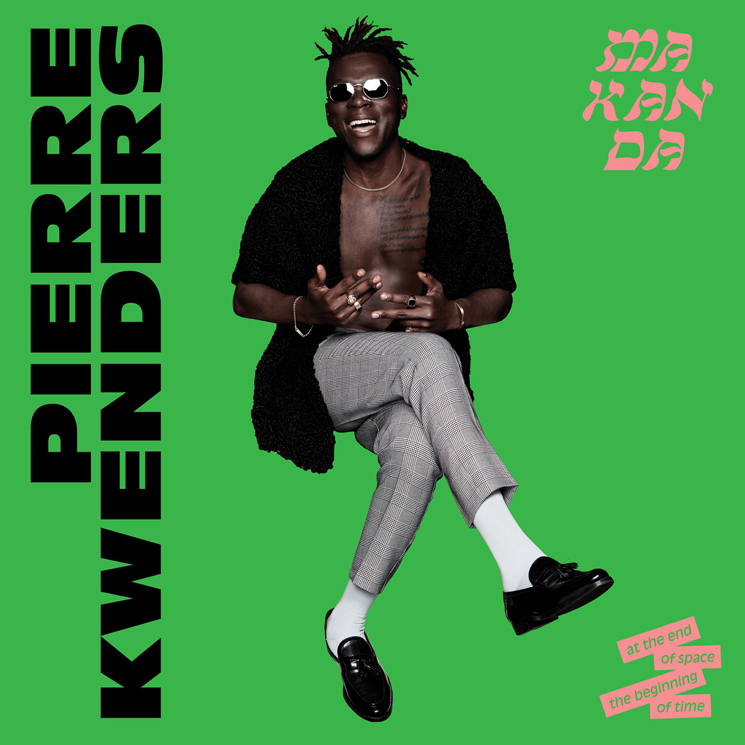 With his latest album, the talkatively titled MAKANDA at the End of Space, the Beginning of Time, Montreal-by-way-of-Kinshasa musician Pierre Kwenders (real name José Louis Modabi) reins in the electronic experimentations that characterized his 2014 debut record Le Dernier Empereur Bantou to let things breathe a bit. This time out, he leans in on more analogue sounds — while still singing and rapping in four languages (Lingala, French, English, Shona) — and takes his approach to Congolese rhumba sounds, mixed with modern soul and pan-African pop, in a new organic direction. Working with Seattle's Shabazz Palaces this time out (Tendai Baba Maraire produced, while Ishmael Butler, aka Palaceer Lazaro, contributed too), the end result is a fresh yet familiar vibe across 11 tracks. The high point of this endeavour is clearly the orgasmic swoon of "Sexus Plexus Nexus," the fully realized number that first grabs listeners' attention. Kwenders tag-teams with fellow Canadian Kae Sun on the groove that is "La La Love," while frisky numbers like "Tuba Tuba" and "WTFU" command less attention but are worth the plays. Title track "Makanda" finds ex-THEESatisfaction's SassyBlack, along with an understated Palaceer Lazaro, blessing the proceedings, and working with Tanyaradzwa on "Zonga" results in perfect chemistry.